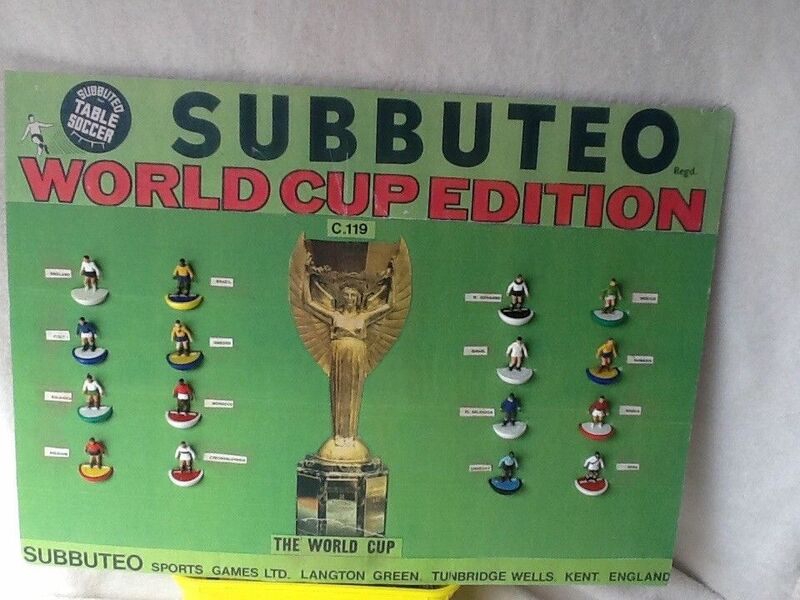 For all collectors of Subbuteo, there are pros and cons of the modern age. eBay can be a fantastic outlet to find those old teams, but is also plagued by repainters. Those don’t really impact me, as my focus is collecting modern Subbuteo ranges (Hasbro onwards) – but here are a list of my frustrations. The main thing I am incredibly jealous of in old collections is that everything is documented with a reference number. You know what’s available and you know what you have and don’t have. Sadly, that’s not the case with the new collections. La Leggenda partwork and Vintage are brilliant – they have clear releases and reference numbers for the teams. But the rest of the modern teams, the Netcam and Paul Lamond Games released teams, are a massive unknown. Sure you can keep an eye out on the forums and the shops, and indeed finding out that there are numerous variations of Portugal is interesting, but there is no where that documents how many versions or what reference number Portugal is in the first place. There are hints of logic at various times – a lot of the early releases in the UK have relatively sequential numbers, like 3015, 3025, 3035, 3045, 3095, 3115, 3125, 3205 or 3225 but nowhere near trackable enough. Of course, this is a consequence of the sets being released by different countries by different companies, but as they are all under the Subbuteo brand, surely a better job could have been done to reference them properly. It would also help to make them more collectable, a suggestion made in a recent post on this very site. I’ve already got four versions of Barcelona and Real Madrid with very little difference between them. Sure, licensed teams are great, and they do need an update, but when there are barely any changes between them, it gets a bit tiresome forking out to continue the collection. It wouldn’t be so bad if we were seeing huge amounts of other licensed teams or even non-licensed versions released, but that’s not the case. This is the difference between modern day collecting and traditional collecting. Where’s a Blackburn Rovers, a Wycombe Wanderers or a QPR? How about a Sampdoria, Partick Thistle or Feyenoord? As a collector, storing my teams is always a challenge. Even more so with the new sets, which give zero indication of what team they are on the side of the boxes, meaning unless you look at the front, you haven’t a clue what team it is. Contrast that to the La Leggenda collection, which names the team and year on the side of each team, meaning these can be filed away and shelved nicely, and you know what team you’re picking. What I’d love, is a reference number, team name and year on the side. Now that would be a dream. 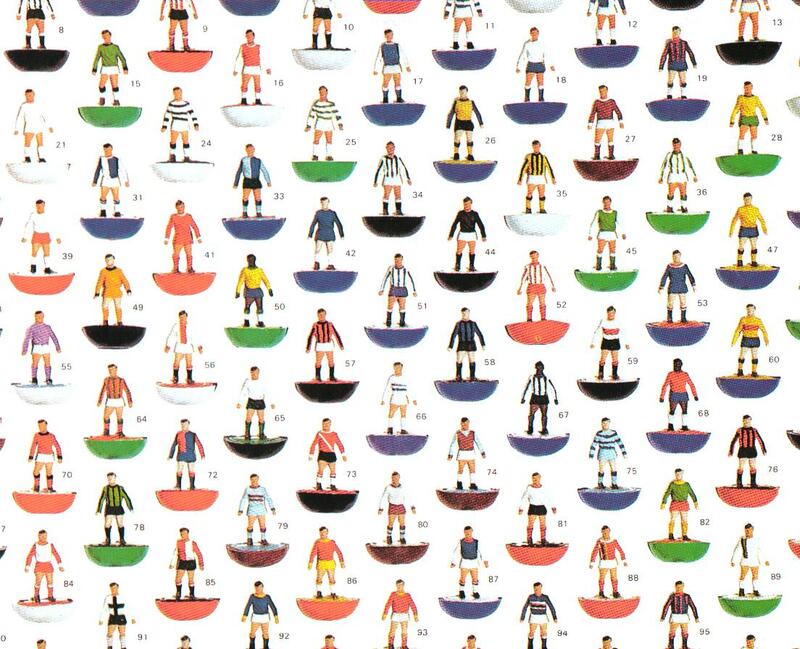 I really enjoyed this video from Subbuteo Collector recently, having got his hands on the We Are Games catalogue of Subbuteo teams – just about the only piece of literature I’ve seen related to any of the new collections. It would be nice to have some posters or booklets regarding the new collections, just to provide some authenticity and trackability with collections, and in particular dates. This, I guess, ties in to the reference number moan, but I thought it deserved its own section. Hat tip for this La Leggenda poster that I found online and then had printed on A3 – a great way to track and display next to my collection. If someone could create posters for the other collections, that would be lovely! 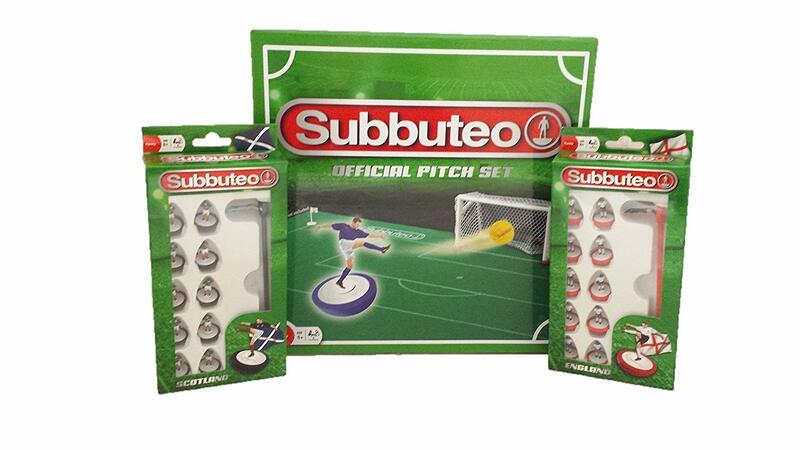 But despite all the above, it is great to see that Subbuteo is still on the market and still being released. Long may it continue.